When beginners first start out mountain biking they are going to go through a learning curve. In order to shorten your learning curve I have collected the most important tips to follow and mistakes to avoid so you can succeed at mountain biking faster. One of the first things you should set up as a beginner are your brake levers. These should be set up before you set up any other controls on your handlebars. You should set them up so your one pointer finger foe each hand is positioned at the very end of that lever. This will also give you more leverage. You will notice that on modern mountain bikes with modern brakes very good riders will never use more than one finger when braking. Beginners should get into this habit right away. Even if you wanted to you couldn’t fit two fingers on a brake lever nowadays. Next brake lever angle is very important to get right. If they are too low on the bar, then this will cause you to put too much weight on your bars. Try to position your brake levers a little bit high on the bars. This will help you to keep your weight back. When you are just starting out mountain biking you should use flat pedals. You will be able to build up your confidence as a rider faster by using flat pedals. Clips will make you very frustrated. Whereas flats will allow you to put your foot down to the ground quickly and easily when you need to. By using flat pedals first, you will be able to learn good technique before you move on to clips. If you were to begin with clips, this could lead to you learning poor technique and bad habits because there is a learning curve with clips. Clips will restrict you in your development as a rider at first. For example you may need to put your inner foot to the ground when going around a corner. You won’t be able to do that on clips as easily and you may crash and lose confidence. Many beginners once they buy a new bike will stay will the tires that came with the bike for too long. You should think about trying to get the right tire that is best suited for your style of riding and best suited for the places you lke to ride on. You need to choose a tire which has the right balance of grip, rolling resistance, and puncture resistance for your type of riding. Keep in mind how much you weigh and how aggressive you ride the trails. If you are a cross country rider then you will be mostly riding on flat smooth trails. So there is no point in getting a very big, heavy, super gripping, puncture resistant tire. On the other hand if you are going to ride downhill, go over rocks, drops, and jumps, then the above tire may be what you need. The main thing is, be sure you get the right tire for the style of riding you do. Don’t stick with the tires that came with the bike. Once you have set the suspension sag, which is how much the springs will compress once the bike settles with a rider on it. You then need to properly set the rebound damping, which helps the suspension return to the correct position after hitting a bump or landing from a jump or drop off. I have seen many new riders riding with very minimal or no rebound damping on their suspension. This might be fine if you are going over small bumps. No problem, everything feels fine while sitting on your saddle. But once you get out of your seat and you start to go faster over rougher terrain and start to go over jumps and drops, you will discover that your bike begins to feel shocked. You will feel unstable and you might be thrown over your handlebars. Be sure you do not use too much rebound damping because then your ride will feel too rough. Probably worse is that your shocks won’t be able to react quickly enough to multiple bumps. Plus because of the impact you can hurt your rims, damage your tires, and cause a puncture. You should set your stem length shorter if you are going to ride downhill, ride aggressively and technically through a trail. For downhill riding I like to set my stem to around 50 ml. I set it at that length because it helps to keep my weight back which is safer and more comfortable when going downhill. For climbing uphill use a longer stem. This helps me to keep weight on the front tire. If my weight was too far back while climbing I might start doing a wheelie which I don’t want. Sometimes I see riders riding down hill with a stem that is too long which will slow down their ability to steer quickly. Try to find a good balance so you are not too cramped, be sure your bars are in a good position for going downhill so you can steer quickly. The same is true for going uphill, you want your stem longer 80 to 100ml, and further forward which slows down your steering. No matter what style of mountain bike riding you do you need to set the tire pressure of your tires so it matches the type of riding you do. Too many beginners don’t check their tire pressure enough and run into problems later on. If the pressure is too soft, you will have more flats, and you can damage your rims. If your tires are tubeless you will be more likely to burp your tires. That is, air coming out of your tires on impact. If the pressure is too hard, then you will not have good grip. This will cause you to bounce off rocks and you will keep rolling but your grip will not be enough. You can have the front tire slightly softer on pressure so you have more grip. Then the rear tire can be harder on pressure because it usually takes the most impact. As you ride more and more you will be able to judge for yourself which pressure is right for your style of riding. As with the tires, most beginners just leave the handlebar height the same way as when they first got the mountain bike. Handlebar height is related to the type of riding that you will do. Your handlebar height is determined by two things, the amount of rise you have already on that handlebar and the spaces you can put under the steering tube. Many times on the trail I see riders with very high handlebars, they have a lot of spaces under their stem. This will be very comfortable when you are going downhill, but this can take weight away from the front tire. When this happens you will discover that when you go around a corner on your way downhill that your front wheel skids out because there is not enough weight on that front tire. So figuring this out is a balancing act, there is no one height that is suitable to all riding styles. It depends on your style of riding and how far you are going to ride. If you are going cross country riding you want your bars lowers so that when you climb a hill there is more weight on the front tire. The best way to determine the correct bar height is probably the hard way. Choose a bar height and then go riding. Go riding around a corner and if you do wash out the front tire then your handlebars are too high.If your bike drifts well when cornering then you probably have a well balanced mountain bike from front to back and your bar height is good. Beginning mountain bikers like to hop on their bike without considering if their saddle is too high or too low. If it is too low then you will be cramped on your bike, and you will not have full range of motion when the pedals are in their bottom and top position. If your seat is too high, then you will have to stretch too much. You will hardly be able to reach the pedal, and you certainly won’t be able to clip in. Next you will need to adjust your seat position, either tilted down or tilted up. If you are a cross country rider as many beginners start out as one. Then you would want to sit slightly more forward, and tilt your seat down. So you can get over the front of your bike, and hold the front wheel on the ground so you can pedal more powerfully up hill. For more downhill riding and with gravity on your side you would raise the nose of your seat up slightly so you can grip the saddle with your legs. This will help to stabilize you and prevent you from going too far forward and perhaps slipping off your bike. A good idea to begin with is position your saddle so that it is flat at first, then depending on your riding circumstances adjust it either up or down. 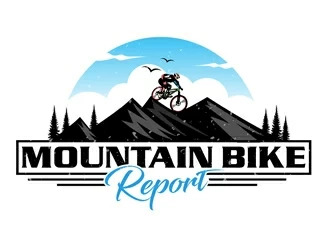 New mountain bikers just want to get riding, have fun, and try out new trails. This excitement is great but it causes many beginners to forget about checking the condition of their bike. Some even keep riding their bike without noticing that there may be a problem. Give your bike regular checks so you know if something is wearing out or if it need to be worked on immediately. Wheels don’t usually fail on you unless there is already a loose spoke or two, and then you hit a steep drop. If your tires are worn out they will not give you too much puncture resistance or grip. So give your bike a regular check up every so often. Set a schedule for it, you will be thankful when you see another rider stuck on the trail. This is something new riders don’t think about much. If you are new to riding downhill then you want to turn your suspension lockout off when you are at the top of a downhill. You want your suspension to be rigid when going downhill. You don’t want to be bouncing down the hill. Beginners can be very lazy riders when they are first starting out. Sitting on your saddle and then having one pedal all the way down and the other pedal all the way up is a lazy way to ride your bike. This type of riding and body position is unsafe. It is setting you up for an accident because your body position is not stable. Your reaction time from this position will be slow. This is a new biker mistake which should be corrected right away. Get yourself into an attack position whenever you are riding off road on a trail. Your feet should be both level with one another on the pedals. Your elbows and knees should be bent slightly. Your torso should be slightly forward and you should be looking ahead to where you want to go. From this position you will be able to shift your weight forward or backward depending on the terrain you are riding on. You want to attack the trails, not fall asleep on them. Always be ready. New riders can be hesitant at first and not aggressive on the trails. They may want to brake a lot on the trails or worse start to ride their brakes. This will wear out your brakes fast and could cause an accident if you are braking too much on the trails. One place you should not be braking is on corners. You don’t need to stop braking completely, but when you are within the corner it is much better to feather your brakes. Same with a car if you are going fast, you pump the brakes on, off, on, off. Same with mountain biking through corners. If you notice you are coming toward a corner too fast, be sure to start braking before the turn. Then you can regulate your braking as you go around the corner, but don’t hit the brakes to hard. Eventually you will be able to control your braking before the turn so that when you get to the corner you won’t need to brake at all and you can go through the corner fast. Not bringing along some tools and spare parts is a bad mistake beginners make. This can get you in trouble if you forget to do this. Many new riders learn this the hard way when they get stuck out in the middle of nowhere with no one around. The simplest things will get you back on track and back home. You should bring at least a multi tool, an inner tube, a pump, and a mech hangar with you. These items will get you home, unless you are going for a quick ride, these items are crucial. Having the right footwear on your feet is very important, but it is often overlooked by new riders who want to just hop on their bike and go. If you are riding on flat pedals then you don’t need to get mountain bike specific shoes. You just need to have a shoe which has a big flat sole and has a good grip. You do not want to slide your foot off the pedal. If you are going to use clips, then it is very important that you get the right shoes and pedals for the kind of riding that you will be doing. Since you are new, then start with a big pedal. Choose a pedal that has a large cage on the outside, so you can really feel the cage on the bottom of your shoes. Also make sure it has a strong grip, both shoe and pedal. Do not get really lightweight small cross country pedals with carbon fiber soles. They may look cool and everything but they can be difficult to clip in to. Plus if you are not clipped in with them you have no grip. All riders love a clean fresh bike. Especially if you are new to mountain bike riding and you have a new bike. You hate to see it get dirty. You will want to get your bike clean again as quickly as possible. Plus if it is cold and muddy outside then you do not want to spend time with a rag cleaning your bike. So you can use a pressure washer to clean your bike real fast. But there is a problem with this approach, not only will you be able to get rid of all the dirt and mud on your bike, but you will also wash away all the necessary grease needed on your bike. There are two ways of dealing with this. One is you pressure wash your bike and then you will need to lube up your bike afterwards. The other way is to pressure wash your bike by standing at least 15 feet away from your bike, that way you will only wash away the dirt and mud and not the grease. A common mistake of newbie riders is not eating enough before they go out on the trail. You are not going to get very far if you do not eat enough carbohydrates before you go riding. Mountain biking more than road biking uses up a lot of energy and calories. Beginner riders also forget to bring enough food and water with them in their backpack. You might have been out riding for an hour and you get hungry and thirsty. You have a snack but you did not bring enough because you are still hungry. This will cause you to ride back slowly or you may have to walk back if you feel really fatigued and dehydrated. A good way to lose your confidence is to ride on a trail that has terrain that is too tough. Or a trail that is very technical with sharp corners and steep downhills. You will be forced to slow down or maybe even have to walk through some sections. This can make you feel bad and want to give up. As a new rider don’t be overly stoked, use trail center grading. That means, look for trails that have a difficulty grade for it. Such as easy, intermediate, or difficult. If you are not riding on a trail that is graded, a good idea is to follow a rider who knows the trail. Then they can tell you ahead of time when you are coming up to a difficult section and how to proceed. But this is not always easy to find someone like this. So my advice is to choose a trail that is graded and work on and improve your skills. Then you can move up to more difficult trails gradually. Crunching your gears is an easy thing to do if you are not paying attention. The way this happens is riders use maximum pedal power while changing into other gears. Pushing down on the pedals full force while going from gear to gear can damage your gears. Plus you could even break your chain as you are crunching your chain through the gears. Regulate your pedal power as you change gears. Finesse not power while changing. Wait until you are changed into the gear you want, then you can apply pedal power and move forward. You are riding along the trail and you get tired, or you are hungry and or thirsty. Maybe there is a good view you want to see, or maybe you think you are lost. So without thinking especially if you are new you stop where ever you are. Even if it is in the middle of the trail. Stopping in the middle of the trail for what ever reason is not a good idea. It is not safe. Plus you don’t know who is going to come up riding behind you. That rider could crash into you. Depending on where you are, that rider could be blind to seeing you until it is too late. If you really have to stop, then get off the trail completely. Even if you have been riding for only a few months and your bike is new you should practice how to fix and adjust your bike. Get good at changing your tire pressure depending on the type of riding you will do. Set up your cockpit properly and adjust your brake levers, gears and saddle height. Practice removing the inner tube from your tire in case you get a flat. Replace your own gear cables, and definitely learn how to fix your own bike chain. Remove it and put on a new one. While working on your bike keep in mind not to over tighten bolts and nuts. Otherwise you will have a difficult time loosening them up when you need to. Also, be mindful not to smash your knuckles when you are tightening or loosening a nut. Don’t forget to bring your bike with you. You may think this is strange at first. Of course you are going to bring your bike. Most mountain bikers just keep their bike in their garage and when they want to go out on the trail they just take it out and go. But what most new riders don’t know is many riders take apart their bike because they need to drive to the trail. Unless you have a huge trunk or a van then it is better to take apart your bike and carry it with you to the trail and then put it back together when you get there. So now, don’t forget to bring your bike makes more sense, right? You need to make sure you bring all the components of your mountain bike with you. Such as the frame and rear wheel, the front tire, pedals, saddle, the fork, and handlebars. The bigger your vehicle the less you need to take apart. You don’t just want to hop on your bike with sweat pants and a t-shirt. There are some clothes you should have in order to make your riding experience more comfortable. Wear padded shorts, this is something newbies don’t consider at all at first. Jeans, sweat pants, shorts are not that comfortable. 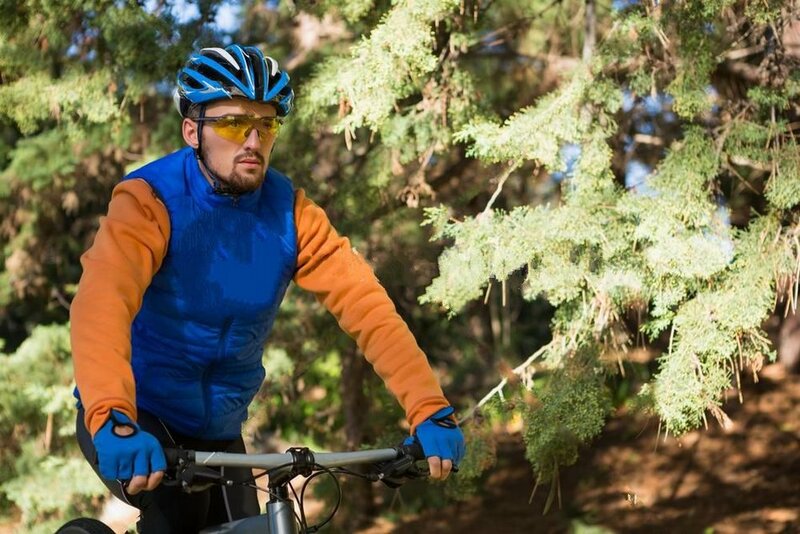 Padded shorts will give you a nice comfortable feeling while you are on your saddle. After that put on shorts over the padded shorts to bring everything together. Then on top wear a t-shirt and over that a biking jersey. Put on knees pads and elbow pads, it does not matter which ones as long as they give you protection. Choose comfortable sport socks which then go into the right shoes whether it is for flats or clipped pedals. Depends on which ones you are using. Nice comfortable gloves and a good fitting helmet. Now you are good to go.